Hello guys, thanks for reaching out again. 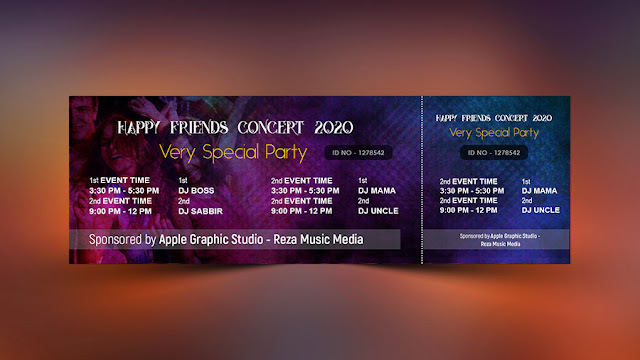 Today, we will design an Event Ticket in Photoshop. It's a very interesting task to design an Event Ticket. Also it's a very easy thing for every beginner graphic designer. A very important thing to keep in mind, Event Ticket's size 1500 pixel (width) and 500 pixel (height). Also set the color mood in CMYK. So friends, let's start watching the video below. I have provided all elements you need to do the action.